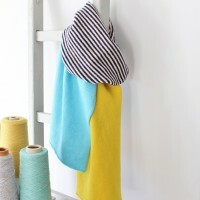 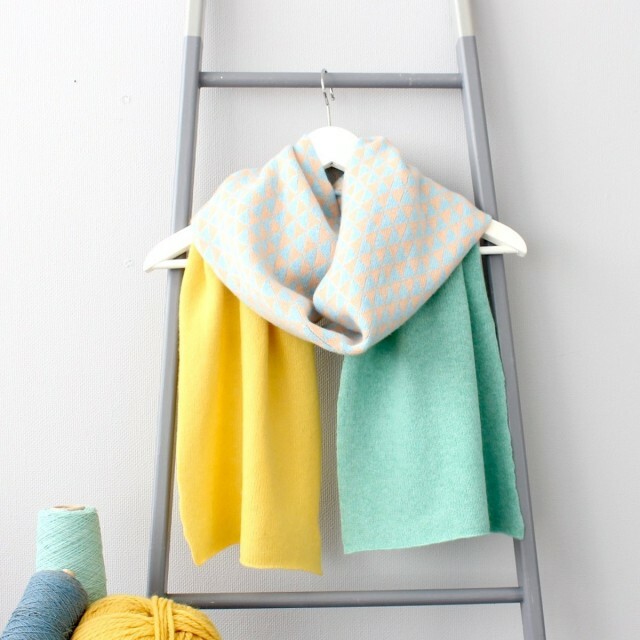 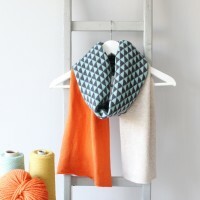 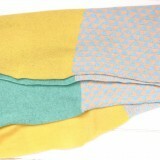 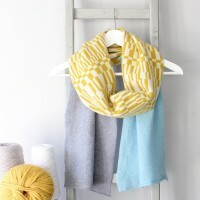 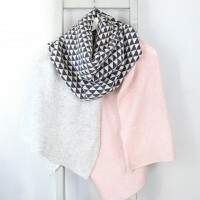 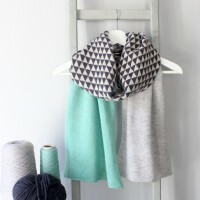 A beautiful knitted scarf handmade in Sussex using eye catching colour blocking. 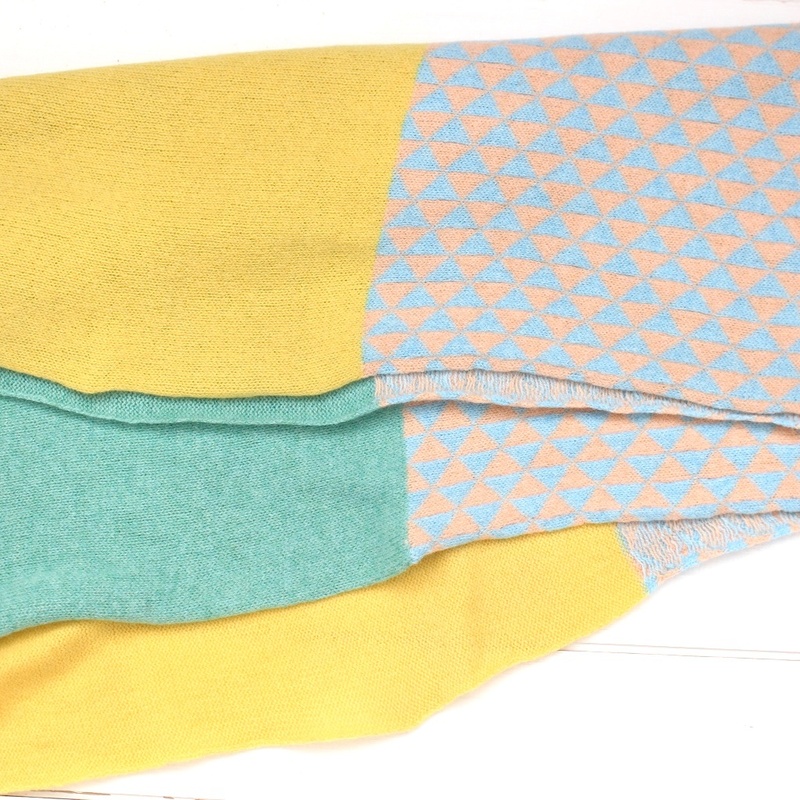 Made up of yellow and mint green block edges with a peach and blue triangle geometric pattern in the centre. 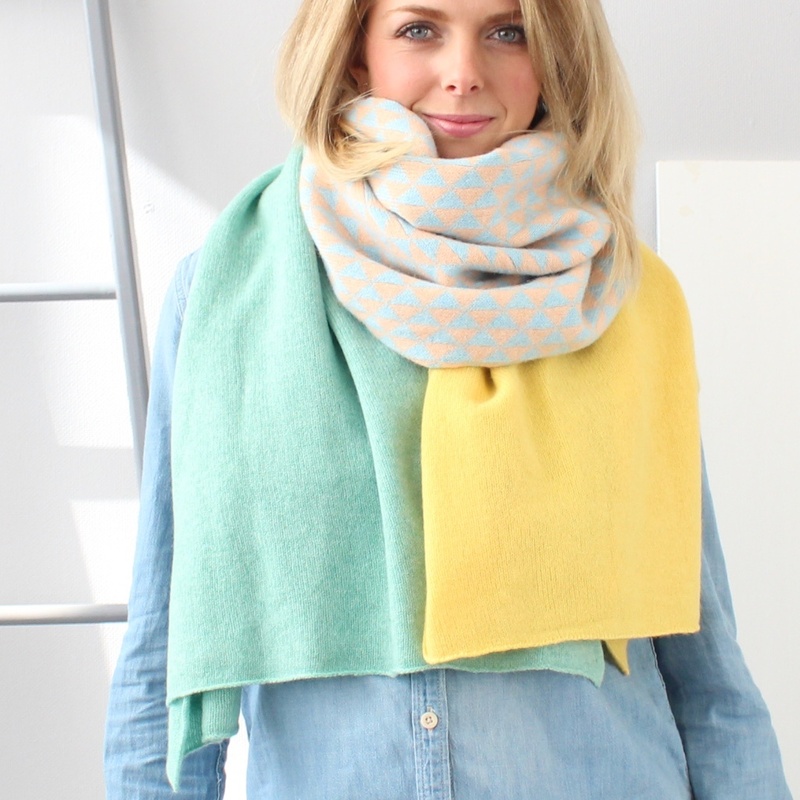 Each scarf is knitted in Gabrielle's studio in West Sussex, ensuring the highest quality product is produced. 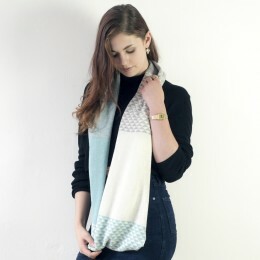 This wrap is hand crafted using a British spun lambswool made on a domestic knitting machine. 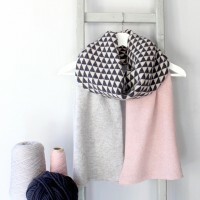 The super soft wool means that you'll be wrapped up warm throughout the winter months.